Drummer/guitarist Leroy Bell met guitarist/bassist/keyboardist Casey James while both were members of a band in Philadelphia. After the band disbanded, the two began to write songs together. Their songs were covered by Elton John(the gold number nine pop/Top 36 R&B hit “Mama Can’t Buy Me Love,”) MFSB, LTD, the O’Jays, Gladys Knight and the Pips, Freda Payne, and Pockets. They were signed to a record deal on A&M Records. Their debut single “Livin It Up (Friday Night)” went gold, going to number seven R&B and number 15 pop in the spring of 1979. 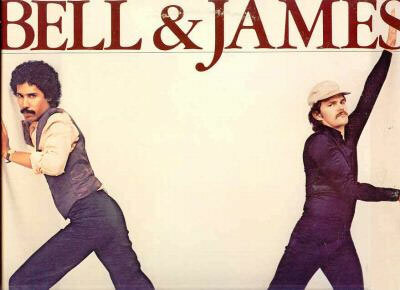 That and the truthful ditty follow-up “Never Know What You’ve Got” were included on their debut LP, Bell and James. Their other album was Only Make Believe which spawned the R&B charting singles “Shakedown” and “Only Make Believe.” “Livin It Up (Friday Night)” can be found on Soul Hits of the ’70s: Didn’t It Blow Your Mind, Vol. 20, Disco Years, Vol. 7: The Best Disco in Town, ’70s Disco Ball Party Pack, Disco Box, and Soul Train: The Dance Years 1979.